Kick off your visit on the 23rd (Mon): admire all the interesting features of Amethyst Mine Lapland. To see maps, where to stay, and tourist information, refer to the Luosto trip builder tool . Manama, Bahrain to Luosto is an approximately 17.5-hour flight. The time zone changes from Arabia Standard Time (AST) to Eastern European Time (EET), which is usually a -1 hour difference. Plan for much colder temperatures traveling from Manama in December, with highs in Luosto at -8°C and lows at -17°C. Wrap up your sightseeing by early afternoon on the 23rd (Mon) to allow enough time to drive to Inari. Start off your visit on the 24th (Tue): go for a walk through Otsamo Fell, see the interesting displays at Siida, and then take in the architecture and atmosphere at Pielpajarvi Wilderness Church. To find photos and other tourist information, read Inari trip itinerary maker app . Drive from Luosto to Inari in 3.5 hours. Alternatively, you can take a bus. December in Inari sees daily highs of -7°C and lows of -17°C at night. Cap off your sightseeing on the 24th (Tue) early enough to travel to Levi. Kick off your visit on the 25th (Wed): glide through natural beauty at Levi Ski Resort. To find other places to visit, traveler tips, ratings, and other tourist information, refer to the Levi trip planning app . You can do a combination of shuttle, flight, and bus from Inari to Levi in 2.5 hours. Alternatively, you can drive; or take a bus. December in Levi sees daily highs of -6°C and lows of -15°C at night. 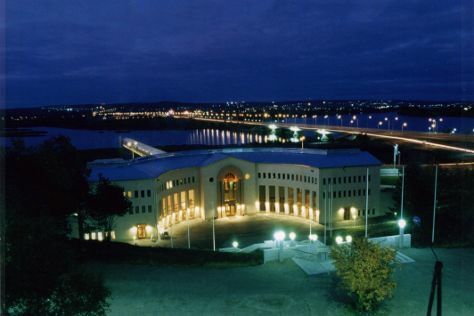 Cap off your sightseeing on the 25th (Wed) early enough to go by car to Rovaniemi. Kick off your visit on the 26th (Thu): find something for the whole family at Santa Claus Village, then see Santa Claus Office, then examine the collection at Christmas House Santa, and finally get engrossed in the history at Arktikum. On the 27th (Fri), you'll have a packed day of sightseeing: make a trip to Lordi's Square, explore the fascinating underground world of Syvasenvaara Fell, and then get in on the family fun at SantaPark - the Home Cavern of Santa Claus. To find maps, other places to visit, reviews, and other tourist information, you can read our Rovaniemi trip planner . You can drive from Levi to Rovaniemi in 2.5 hours. Another option is to take a bus. Expect a daytime high around -6°C in December, and nighttime lows around -13°C. Wrap up your sightseeing on the 27th (Fri) to allow time to travel back home.